Edition 9 - MORE FREE products on offer! - News - Prestige Pet Products Pty. Ltd. Edition 9 - MORE FREE products on offer! 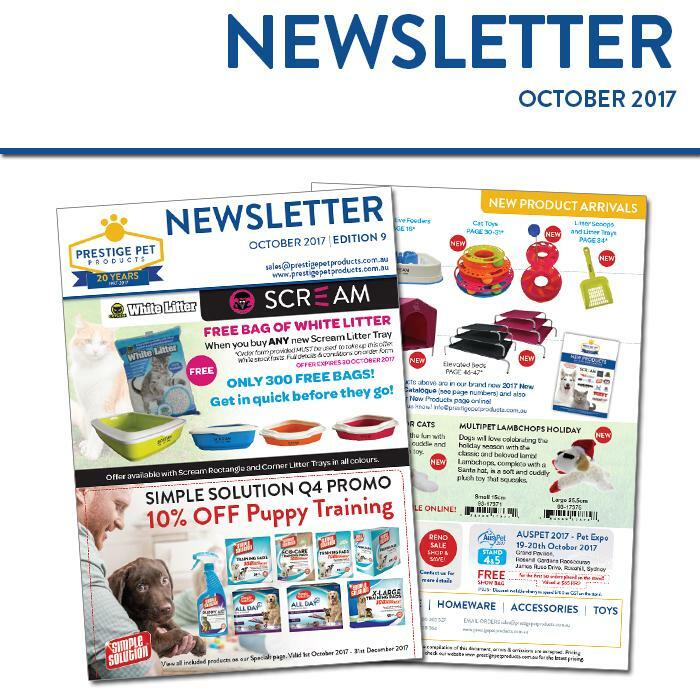 October sees the beginning of a NEW Simple Solution Promo! For Quarter 4 - Save 10% on the Simple Solution Puppy Training range! Perfect for the new Spring additions to your family! You also have an opportunity to get FREE bags of Cats Eye White Litter with a new Scream Litter Tray Offer but you MUST BE QUICK! Only 300 free bags available! More new products have arrived! Catch them on our new products page online OR see them all in our 2017 New Products Supplement Catalogue!